Tens, if not hundreds of thousands of people visit the small coastal town of St Andrews every year and, for many, there is one thing on their mind….golf! St Andrews is indeed the home of golf with probably the most famous course in the world, but visitors soon discover there is so much more to the town. 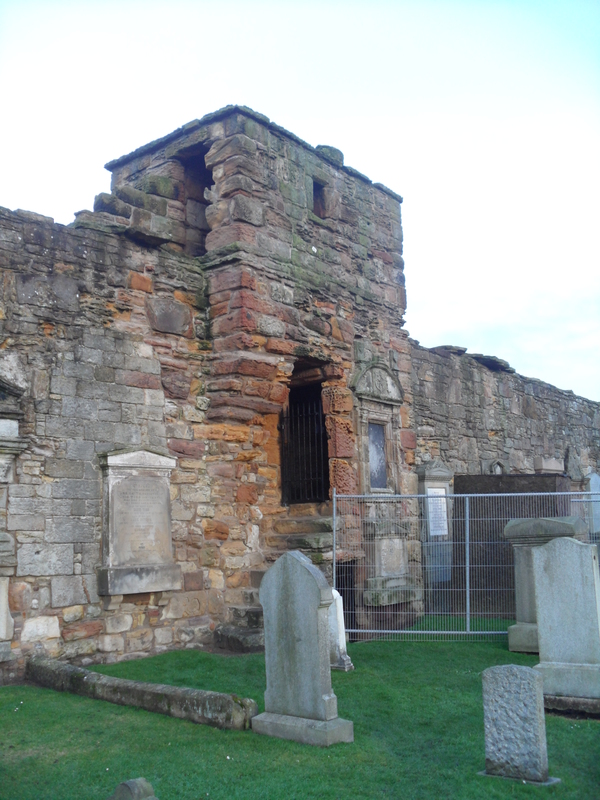 The original settlement dates back to several hundred years before the relics of St Andrew are said to have arrived in the town, brought by St Regulus in the year 877, and religion was a significant factor in the growth and development of the town. It also however led to a long, dark past due to opposing religious opinions. 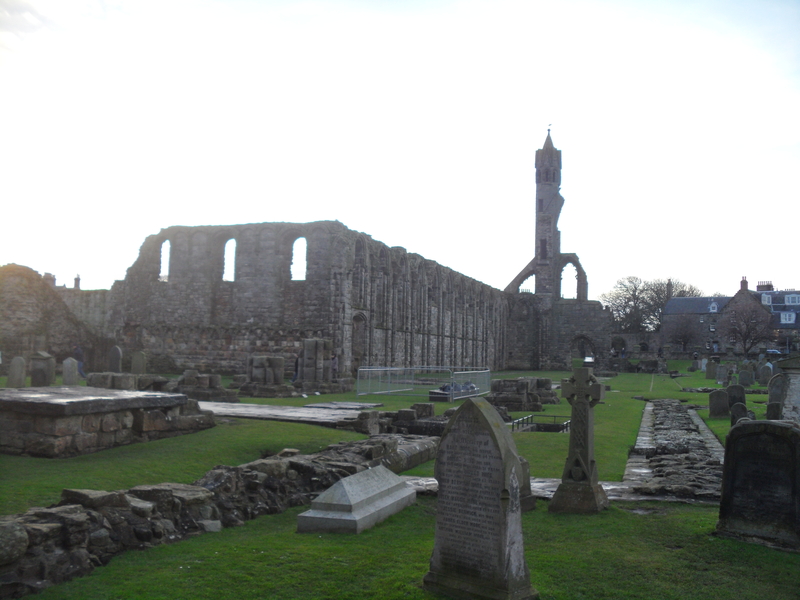 Today St Andrews still lays claim to a 12th century cathedral that, for many centuries was the largest building in Scotland. St Andrews castle was built as a residence for the bishop of the cathedral and visitors can now visit the notorious bottle dungeon and the unique mine and countermine. The town also has the third oldest university in the English speaking world, founded in 1413 and, going back to golf, the Royal and Ancient clubhouse overlooking the first tee and 18th hole of the Old Course. With such a long past, it’s not surprising that there are many ghost stories associated with the town. One of the best known is the White Lady, who has been seen in and around the cathedral. Reports of sightings of the white lady go back more than 200 years and she is always said to be dressed in a long white dress, with a white veil and gloves. Witnesses started to report seeing the phantom close to a small, square tower on a regular basis and children used to dare each other to put their hands through the bars of one of the gates to the cathedral close to the tower, where it was said you would feel the cold touch of the white ladies hands take hold of your own and, if you let her get hold, she would pull you in. This led many to believe the story was nothing more than a tale to scare children to stop them playing around the cathedral after dark, however, in 1868, work was carried out to the tower and the stonemasons made a frightening discovery. Within a sealed vault lay 6-10 bodies (the number varies from report to report) but within the bodies was one particularly well preserved corpse of a lady, still wearing fragments of the white cloth from her dress and gloves. The identity of the lady in white or the other bodies have not been confirmed. Some speculate that they were plague victims, locked up in the tower to prevent the disease spreading while others think that they must have been people of stature to be able to be buried within the walls of the cathedral. The question also remains as to why only the lady in white haunts the area and not the others sealed within the tower. Whoever she is, sightings of the white lady have persisted, with the most recent documented sighting being in the 1970s when the spirit was spotted by some of the university students and no doubt, the sightings will continue.